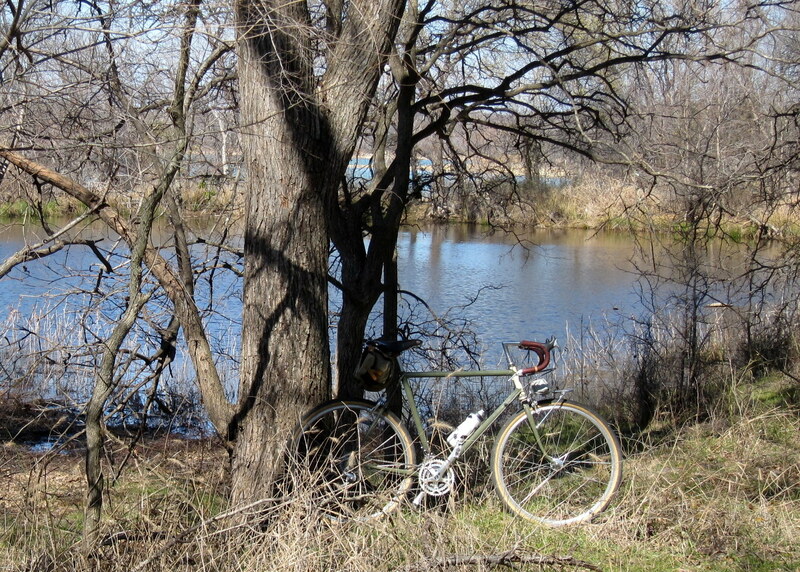 Normally, weekend rides start from home. 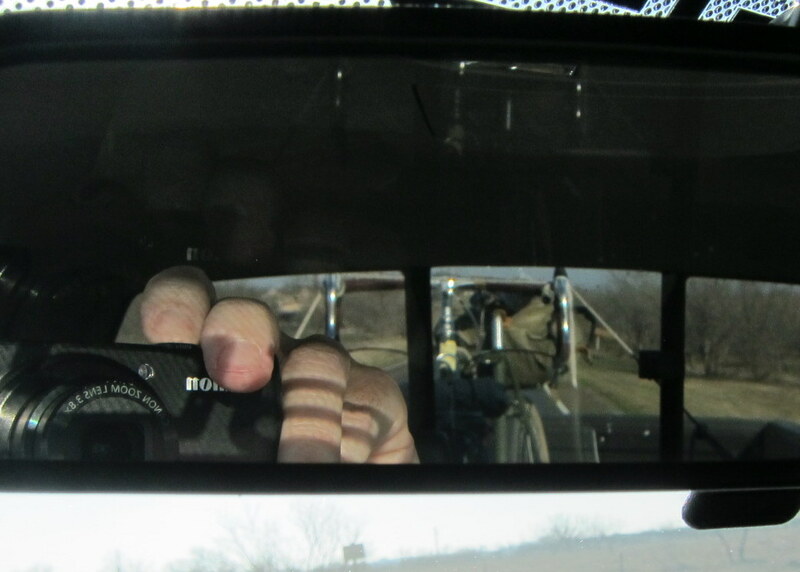 But today was about exploration, and burning 3 hours in to/from mode would have been too constraining. 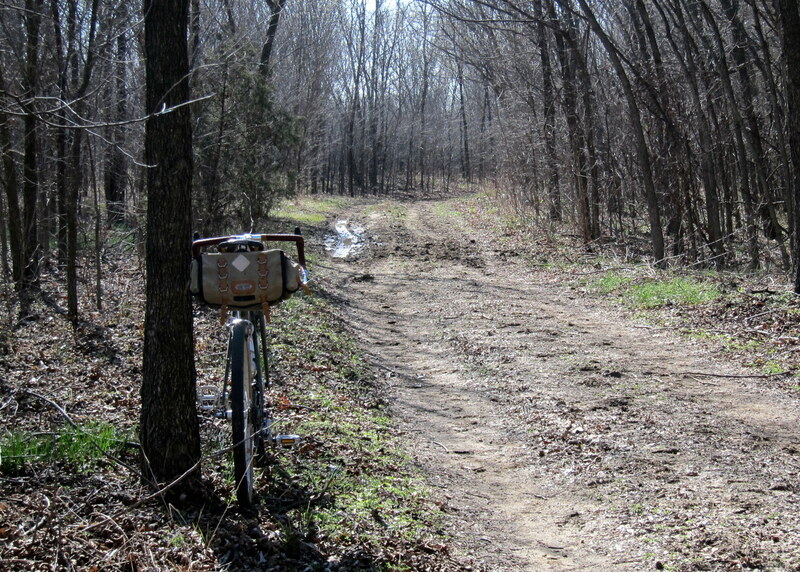 Exploration focused on the trail system at the Isle du Bois unit of the Lake Ray Roberts State Park. 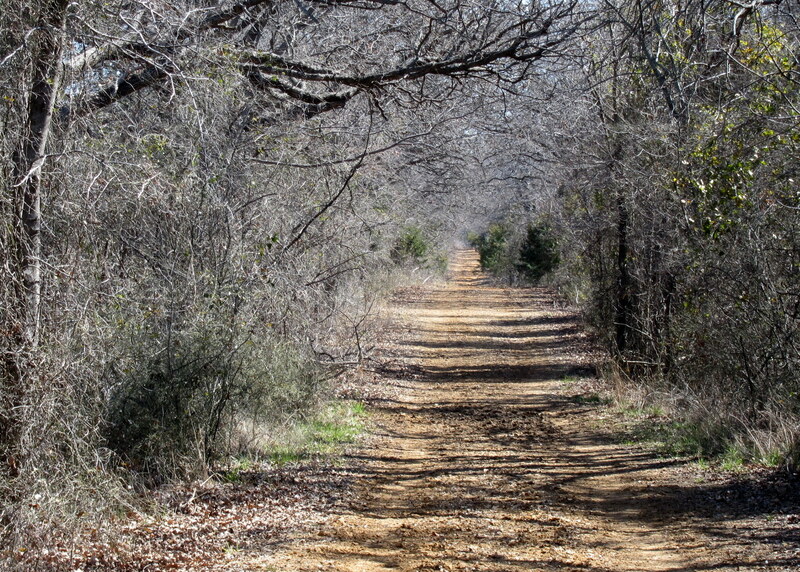 These trails are labeled as equestrian trails, but they also allow bicycle, and hiker use. Some portions are rocky, which require careful line selection and speed modulation. 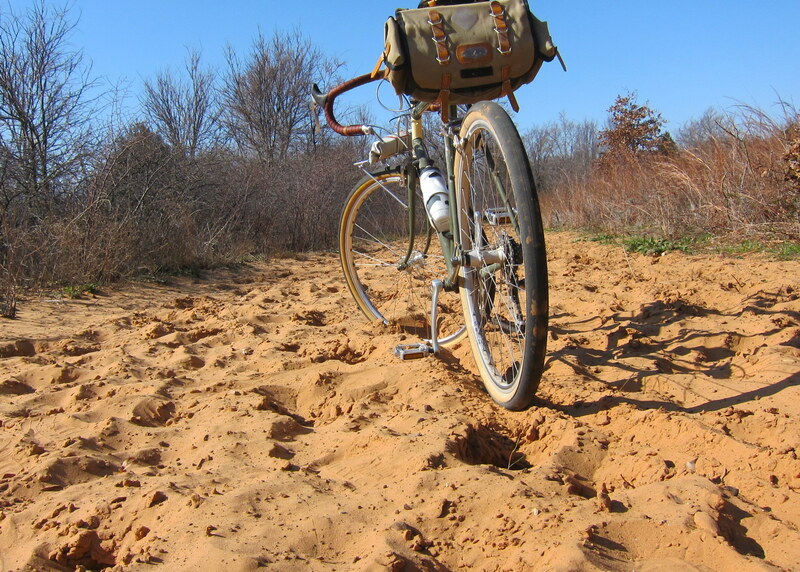 Some portions consist of deep sand, especially portions south of park headquarters. 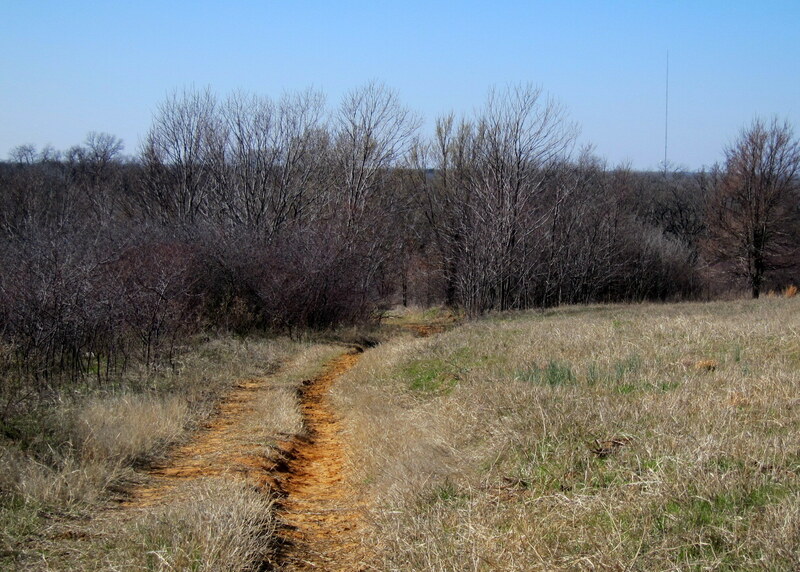 Often it seemed “equestrian trail” might be a technical term meaning long, narrow, winding sand pit. 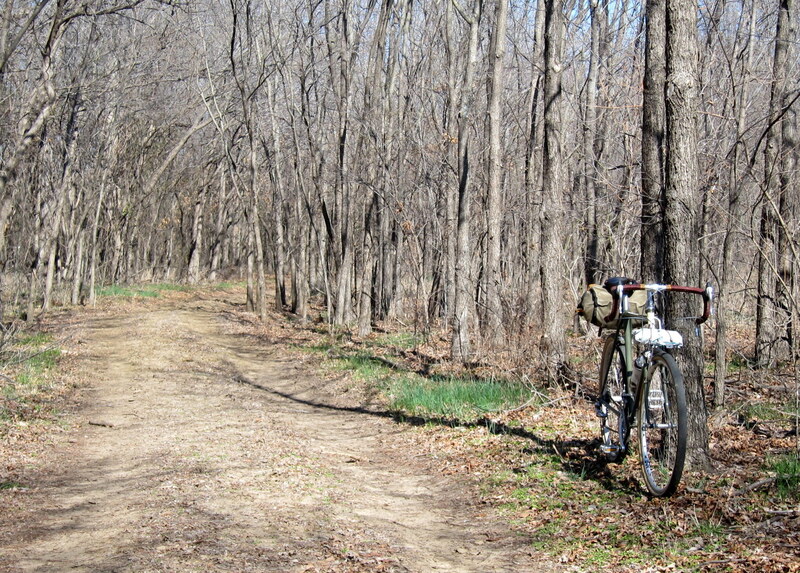 Perhaps most folks, not on a fat bike, walk here. …and in the midst of dense wooded areas. 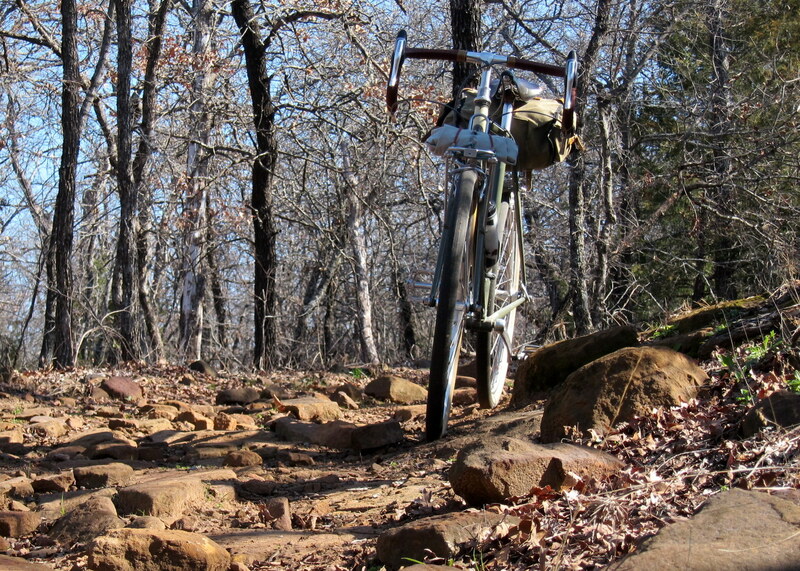 There were rugged moments spent pondering suspension, and walking moments spent pondering fatter tires. But not a second of willingness to trade the A. Homer Hilsen for anything. 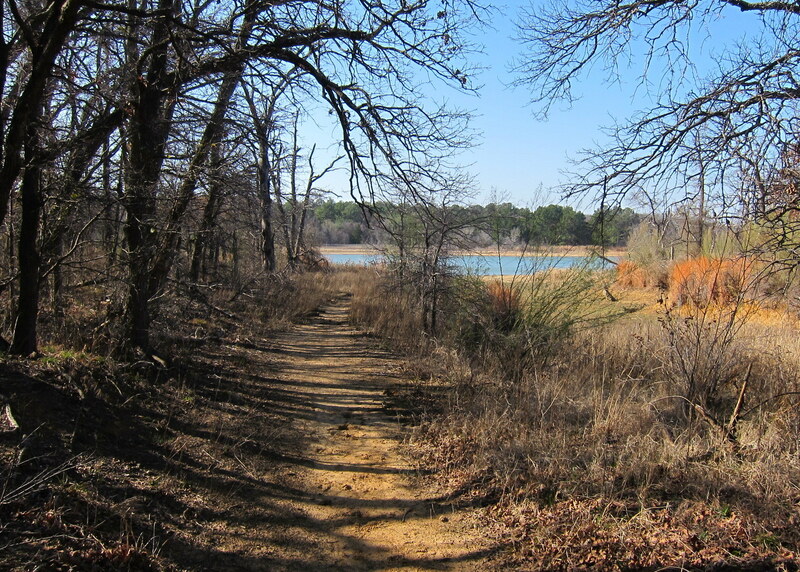 The trail meanders along the edge of Lake Ray Roberts. The water is often obscured by local terrain, trees, or distance. When visible, however, it demands attention on a clear winter day. 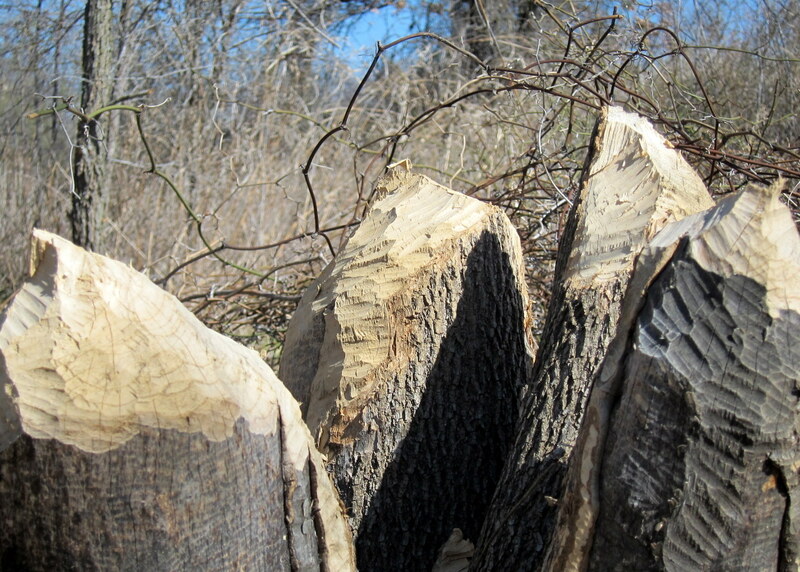 Beaver activity was evident. These tree trunks were all at least 6 inches in diameter. What are those critters building that would require such massive beams? Not only did today’s outing provide for several hours of new trail exploration, it also resulted on the identification of several fantastic camp spot options for the next S24O opportunity. A successful recon mission, indeed! The hint of more good things to come! Looks like that camp’n bike is gonna get a lot of use. Nice place to ride. Quite a bit different from anything I see around the concrete jungle that I live in. Nice photos. Did you ever see what the beavers were building? A bunch of 6″ trees should create some sort of structure. I saw a small dam made with pieces about 1 inch in diameter or less, but no critters. There were a couple of 6 inch diameter logs lying there on the ground, de-barked, pointed at both ends, and about 2 feet long. Maybe they are foundation piles for a high rise. YES, you do. Spring comes earlier down here.